The Long overdue Financial Review of HS2 will see this £100bn (real cost) Folly soon Cancelled. Campaigners have from the start said that the Black Hole of HS2 is over hyped in benefits, under costed and more damaging than promised. One such example is the millions wasted on increased property costs because HS2 chose a more damaging route with the M18 Eastern Route than the previous Meadowhall route or ignored lower impact alternatives. With a mere 2% tunnel in Yorkshire from Bham to Leeds compared to 22% south of Birmingham and 21% from Birmingham to Manchester, the unmitigated Route in the North was planned to built on the cheap to recoup costs in London where homes were spared. Grayling is too mean to save Mexborough or Bramley homes but can find the money in the South. We estimate that £4 billion has been saved not building tunnels in Yorkshire to save Yorkshire ancient woods, habitat and communities. If you add this extra £4 billion cost into the BCR for Phase 2B it makes the whole shaky project unviable. We Hope Liz Truss carries through to scrap HS2 as soon as possible. Government Blinks First on HS2 Phase 2B ! Breaking News : As a result of the continuous pressure on HS2 by the HS2 communities campaign, Today's Times has reported a 12 month delay on the HS2 Hybrid Bill in Parliament - meaning a delay to the project and increasing costs. This evidence has been presented by residents and Doncaster and Rotherham councils during the 2017 Consultation to both HS2 Limited and Ministers in the Department of Transport. When Crofton Against HS2 presented their evidence with MP Jon Trickett to HS2 Minister Andrew Jones MP in March 2017 in the committee room of the Houses of Parliament.This evidence was not acted upon. Andrew Jones MP then left his job as HS2 Minister. A second meeting with Paul Maynard MP with Crofton Against HS2 and Jon Trickett MP in September 2017. At that meeting it emerged that the previous information given had been mislaid. A new parcel of Evidence was presented including plans for an 8km tunnel at Crofton, along with evidence that HS2 Limited had mis-estimated the number of residents affected between the Meadowhall and M18 Routes. Paul Maynard MP wrote to Crofton promising a prompt response to Crofton's concerns, then left his job to be replaced by Nusrat Ghani as HS2 Minister. Numerous attempts at meetings with Nusrat Ghani from HS2 Communities have been rebuffed since that time, including a recent snub to Councillors in Mexborough. On 2nd of February 2018, Crofton Against HS2 paid £25 to attend a Conservative Party fundraiser in Morley Constituency for Andrea Jenkyns MP, where Transport Secretary Chris Grayling was due to speak. 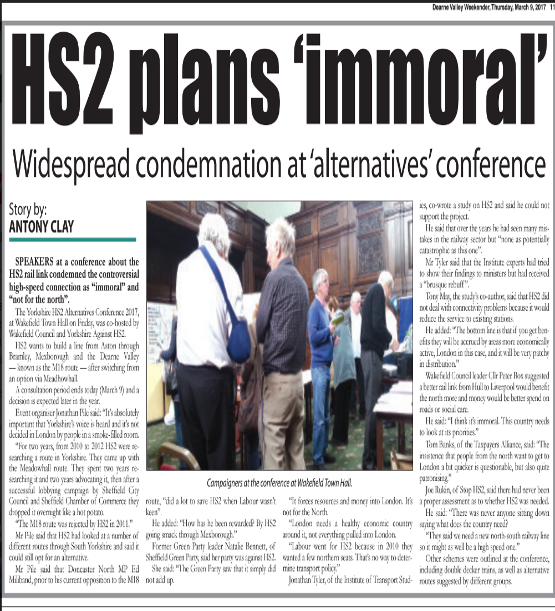 We personally presented him a five page letter of evidence detailed above and challenged him to meet with the community and respond to allegations that HS2 Limited had misled ministers over the residential estimates,as well as cost savings. 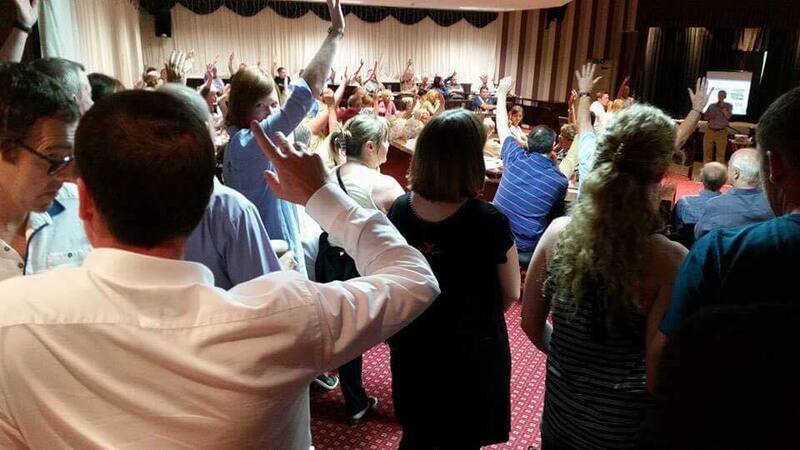 There was no response from the minister despite a verbal assurance that he would reply. On March 21st 2018, a copy of the Grayling Letter was handed in, and signed for at the Offices of the Department of Transport at 33 Horseferry Road, Westminster. On May 30th 2018, a copy of the Grayling Letter was presented to and signed for by the Personal Assistant to the Cabinet Office Secretary and head of the UK Civil Service Sir Jeremy Heywood, to forward on to Chris Grayling and to request a response. 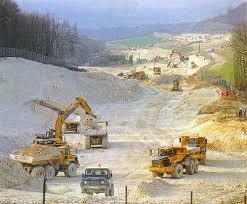 However the Stonewalling from the Department for Transport continues. It is our belief that if either Nusrat Ghani were to meet with Crofton Against HS2 in front of civil servants discuss the HS2 Data Fraud, she would have to either do as her predecessors have done and resign her job rather than action this issue, or launch a departmental investigation into the accuracy of HS2 Limited estimates of residential impacts. You can see a copy of this letter below. We would also remind Northern Mayors , Andy Burnham, Dan Jarvis and Ros Jones there has been a 21% cut in Rail Industry funding 2011-2016 according to the Office of Rail Regulation - these cuts are part of the mismanagement of the North's current Railways which people use to fund a High Speed Train to London that people won't use . Such cuts were predicted by Former Labour Chancellor Alistair Darling in 2013 when the opposed HS2 when the Balloon costs stood at £42bn, they are now predicted to be £88bn by the Taxpayers Alliance, £105bn by Rail Expert Michael Byng . “ WE ARE ADVISED BY LEGAL COUNSEL THAT THE ROUTE DECISION ON JULY 17TH IS UNLAWFUL. IT IS ILLEGAL BECAUSE IT HAS NOW BEEN DISCLOSED BY HS2 LIMITED THAT CONTRARY TO STATEMENTS IN PARLIAMENT AND IN THE SOUTH YORKSHIRE REPORT FROM LAST YEAR THAT THE DECISION WAS BASED NOT ON THE PREVIOUSLY CONSULTED ROUTE BUT ON A ENTIRELY CHANGED REFINED ROUTE KEPT SECRET FROM OUR COMMUNITY FOR THREE YEARS. 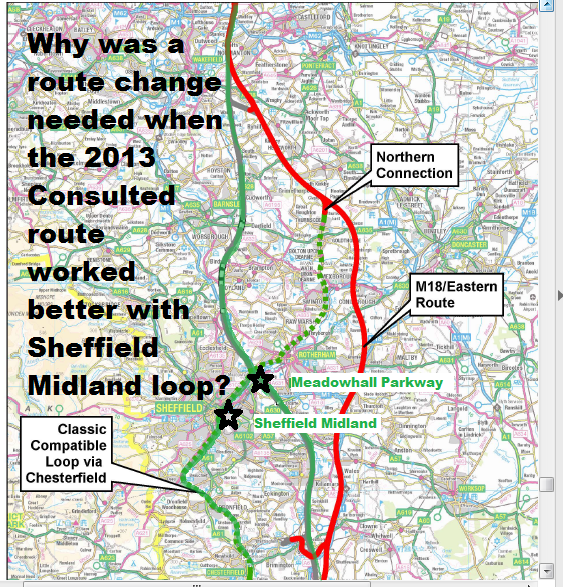 FURTHERMORE ANALYSIS OF THAT ROUTE HAS FURTHER REVEALED FROM OUR TRANSPORT ADVISERS THAT THIS ROUTE HAD BEEN CHANGED IN SECRET IN 2014 IN ORDER TO SAVE £200 MILLION FROM THE CONSULTED MEADOWHALL ROUTE BY SCRAPPING TUNNELS AND VIADUCTS NORTH OF SHEFFIELD. THEREFORE WHEN HS2 LIMITED CHAIRMAN SIR DAVID HIGGINS TOLD PARLIAMENT AND THE COMMUNITIES THAT A ROUTE CHANGE WAS NEEDED, THIS WAS IN THE KNOWLEDGE THAT FUNDS ALREADY EXISTED FROM THE SECRET ROUTE TO FUND A TWO STATION SOLUTION IN SHEFFIELD. THIS SOLUTION WE IDENTIFIED IN A MEETING WITH HS2 LIMITED IN NOVEMBER LAST YEAR AND THEY ADMITTED HAD BEEN OVERLOOKED, THIS SOLUTION WAS GIVEN TO THE THEN TRANSPORT MINISTER ANDREW JONES IN FEBRUARY BEFORE THE GENERAL ELECTION WHO PROMISED TO RESPOND TO IT. WE ARE DEMANDING TODAY THAT THE SECRETARY OF STATE IMMEDIATELY SUSPEND THE ROUTE DECISION AND SACK SIR DAVID HIGGINS HS2 CHAIRMAN BECAUSE OF CLEAR ILLEGALITY AND LIES TOLD TO PARLIAMENT AND COMMUNITIES SUCH AS OURS. WE ASK FOR A JUDGE LED INQUIRY TO BE COMMISSIONED TO EXAMINE THE TRUE FACTS OF THE COSTS, IMPACTS, BENEFITS OF THE ROUTE DECISION. HOW SHEFFIELD CITY COUNCIL WAS GIVEN PRIVILEDGED ACCESS TO HS2 LIMITED AND OUR COMMUNITY WAS SO NEGLIGENTLY OVERLOOKED. WE WILL BE MEETING WITH THE TRANSPORT MINISTER PAUL MAYNARD TOMORROW IN THE HOUSE OF COMMONS AND ASKING HIM TO LAUNCH AN INDEPENDENT STUDY INTO THE ROUTE ALTERNATIVES SUCH AS THE TWO STATION MEADOWHALL PLAN AND THE HS3 READY ROUTE BY OUR RAIL ADVISERS HIGH SPEED UK TO THE WEST OF THE M1 WHICH HAS BEEN PROPOSED TO THE NORTHERN RAIL SUMMIT. TO LEARN OF THE REFINED MEADOWHALL ROUTE HAD SECRETLY REPLACED THE CONSULTED ROUTE IN 2014 AND THAT THE SAVINGS FROM THIS ROUTE HAD BEEN INCLUDED IN THE ROUTE ADVOCATED BEFORE PARLIAMENT, THAT THE DECISION HAD BEEN BASED ON THIS ROUTE CONTRARY TO THE PUBLIC CONSULTATION, THEREBY INVALIDATING IT. IT WAS A BITTER BLOW TO LEARN THAT FOR CROFTON THIS SECRET ROUTE, IDENTICAL IN THE STRETCH AFFECTING CROFTON, WITH AN ENLARGED EASTERN DEPOT AND THE INCREASED IMPACTS WOULD HAVE BEEN ADOPTED EVEN IF THE M18 EASTERN ROUTE HAD BEEN REJECTED. WE REMIND HS2 LTD REJECTED THIS ROUTE IN 2011 WHEN IT WAS FORMERLY CALLED EAST OF ROTHERHAM. IT TURNS OUT HS2 LIMITED HAS LIED ABOUT EVERYTHING TO EVERYONE. THE CHAIRMAN SHOULD RESIGN BEFORE HE IS SACKED." I am writing on behalf of the community action group of Crofton to express our grave concerns at the current HS2 proposals. Our concerns lie not only with the destructive impacts that HS2 will have on our community, but also at the huge inefficiencies that HS2 will cause in the development of ‘HS3’ links between the cities of the Northern Powerhouse. Our letter is directed to yourselves at Transport for the North as the primary authority responsible for developing transport infrastructure across the entire Northern Region. We believe that the current combination of ill-thought out plans would for HS2 and HS3 would make the worse possible scenarios come to pass, a transport solution which doesn't offer full high speed connectivity for Sheffield and South Yorkshire, which takes resources away from vitally needed electrification and which actively works against a Cross Rail for the North. Instead of being a high speed hub, Sheffield would be bypassed by routes to better-connected Northern Cities. There is a real danger that HS2 will drain resources from HS3/Northern Powerhouse Rail with a poor route choice with high impacts, hidden costs, low connectivity and low economic benefits. There is a real danger HS2 could never be built to northern destinations other than Crewe because of the lack of a strategic approach which had the true support of communities, causing cost overruns that will lead to the cancellation of Phase 2B. Our Community proposed a better location for the Rolling Stock Depot than New Crofton in 2017 which both the DFT and HS2 Ltd have adopted, and now we propose a better route which will enable better connectivity between Sheffield, Leeds and Manchester. The fact that such a route would have 17 times lower residential demolitions matters to us, as we don't want any community to be impacted in the harmful way that the HS2 M18 Eastern Route has affected our 6,000 strong community. We believe that Northern Electrification and East-West Connectivity between Northern Cities are much greater priorities for Northern communities than the deeply flawed plans for HS2. 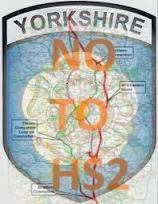 These Northern links should precede HS2 which requires urgent strategic review. This is exactly what former Chancellor George Osborne has called for today (22nd August). We believe in a low impact transport network connecting Sheffield and Leeds, and the other vital cities and towns of the North. We have proposed an alternative high speed route connecting Sheffield and Leeds, with a link to Manchester via the abandoned Woodhead corridor, and with a City Centre Station at Sheffield Victoria (a location which has been consistently and wrongly ignored by HS2 Ltd. Journey times significantly superior to those offered by HS2 could be achieved with fewer residential demolitions, lower construction costs and higher economic benefits. Our plans form part of a wider Strategic vision for the Northern Powerhouse which comes from communities so far excluded from official plans. We are deeply concerned at the current governance of Transport for the North and HS2 Ltd which has given Leeds and Sheffield absolute priority over the views and needs of Doncaster, Rotherham, Wakefield and other forgotten communities of the North. We are supportive of the transport aims of the Northern Powerhouse, as set out in the specification for journey times between its principal centres (ie Liverpool, Manchester, Manchester Airport, Sheffield, Leeds, Hull and Newcastle) and in the requirement for city centre stations. As noted previously, our only proviso would be that the resulting HS3/Northern Powerhouse Rail system should be developed with the necessary integration so that it also serves the ‘second tier’ of rail hubs, such as Wakefield and Doncaster. 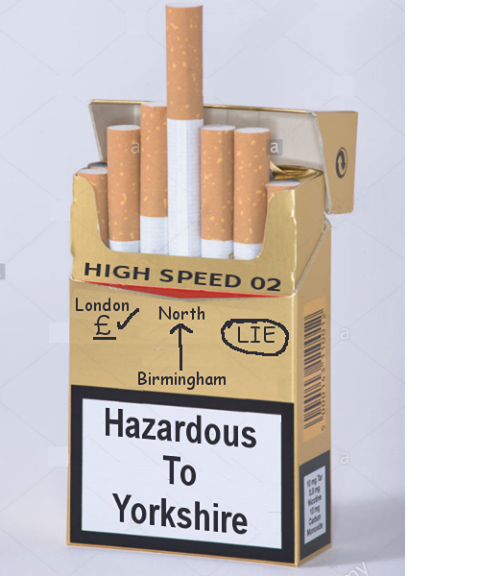 The HS3 concept has only come about because of the total inadequacy of the original HS2 ‘Y-network’, in particular its failure to provide any transpennine connection between the major cities of the North. It is fair to characterise the original HS2 as a largely isolated system – witness the initial proposal for the New Lane terminus in Leeds – whose sole priority seemed to be to achieve the swiftest possible journeys to London, rather than provide efficient links between regional cites – witness the abandoned proposal for Meadowhall station, 5km from Sheffield city centre. HS2’s ‘need for speed’ also dictated near-straight alignments which cannot easily be accommodated into an undulating landscape, and which make it impossible for HS2 to avoid communities such as Crofton that lie in its path. We would comment that if HS2’s only priority were to connect Leeds and Sheffield to London and other cities on a general north-south axis, and if there were genuine immense value in every minute shaved off existing journey times to London, there might be some logic in the present HS2 proposals. But the advent of the Northern Powerhouse demonstrates clearly that neither proposition can be true. The HS2 scheme has now been modified so that the stations in Leeds and Sheffield are both located at the existing city centre hubs, to better integrate with developing ‘HS3’ proposals. However, the effect of abandoning the Meadowhall scheme has been to drive HS2 so far to the east that there is no possibility of integrating HS2’s north-south route with HS3’s transpennine route. It is regrettable that rather than challenge HS2’s established routes, Transport for the North has accepted them as basic building blocks in the development of HS3/Northern Powerhouse Rail. You will hopefully appreciate the fundamental illogicality of basing a scheme intended to deliver step-change improvements in transpennine connectivity upon elements that were designed with no thought for transpennine connectivity. Our concerns as to the proper and optimal development of Northern Powerhouse routes are fully confirmed by the research undertaken by High Speed UK in support of their own HSUK scheme for a national network of high speed lines. HSUK is a fully engineered scheme, with horizontal and vertical alignments prepared for the full length of its routes linking the principal centres of the Northern Powerhouse. HSUK’s designers claim that high speed rail services on their new routes will meet all the key journey time requirements, and our discussions with the designers give us confidence that their claims are fully justified. We would refer you particularly to the enclosed document prepared by High Speed UK (an extract from the HSUK report HS2 : High Speed to Almost Nowhere). This describes a sequential process by which the established HS2 route, passing to the east of both Barnsley and Wakefield, has naturally been adopted for the Northern Powerhouse route between Sheffield and Leeds. Attention has then turned to upgrading the route between Leeds and Manchester to achieve the specified 30 minutes journey time. And finally, at some point in the future, the requirement for accelerated journeys between Manchester and Sheffield will be addressed. The resulting 'transpennine triangle' of routes linking Sheffield, Leeds and Manchester might seem an obvious solution to connect the three cities at the heart of the Northern Powerhouse. However, its disadvantages can be readily appreciated from the fact that it requires 2 separate transpennine crossings, each with major lengths of tunnel. It may also take a very long time to implement in full. The sequential manner in which the solution has been developed has prevented holistic consideration of the basic problem, of connecting Sheffield, Leeds and Manchester by the most efficient and cost-effective means. No attention has ever been given to the self-evident alternative solution adopted by HSUK, of a Sheffield to Leeds route running to the west of the M1, and connecting to a single transpennine route to Manchester following the abandoned Woodhead corridor. 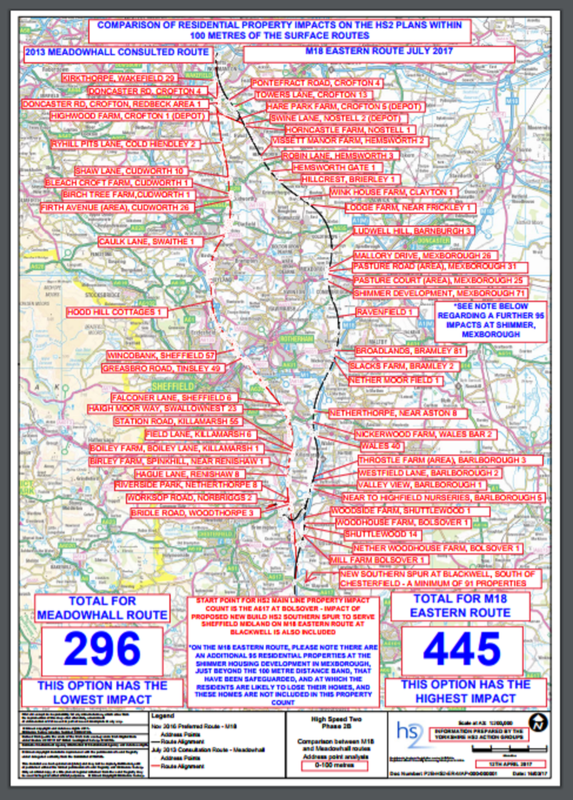 This represents a massive design failure, and the extent of the failure is revealed by comparison of HS2 and likely HS3 routes with the alternative HSUK proposals. The HSUK routes linking Sheffield, Leeds and Manchester are 79km shorter, 23km less tunnel is required and the construction cost is estimated to be around £5.5 billion less. The HSUK report goes on to outline a wide-ranging list of other defects in the developing HS3/NPR scheme, all of which appear to arise from HS3 having been effectively predetermined by the established HS2 scheme. The text of HSUK’s report provides detailed explanations of how all of these defects can be avoided by HSUK’s more integrated and holistic design approach. These are all major advantages; and from the perspective of the Crofton community, an almost equal advantage is that none of the routes selected by HSUK need to go anywhere near to our village. You will doubtless appreciate our concern, that our community is being blighted by ill-conceived proposals which plainly fail to provide the efficient intercity transport links that the Northern region requires if its economy is to prosper. We are firm in our belief that our region deserves the best possible transport system, and we would join with HSUK in their challenge to the transport establishment, to demonstrate that the established HS2 and developing HS3 proposals represent the optimum solution. If this challenge cannot be met, then it is clear that the current HS2 proposals cannot be sustained. Other solutions must be found. We see it as a matter of urgency that we meet with you, to explain our concerns in greater detail. We will contact you shortly to make arrangements for this meeting. The quiet beautiful green belt village of Crofton in West Yorkshire has been under attack from HS2 Limited since 2011, when it was decided to place a Rolling Stock Maintenance Depot on the Southern side of the village on the site of an old coalfield de-industrialised site which had been reclamated to Green Belt. The site seemed perfect since it was next to the East Coast Mainline and offered access to the existing rail network for rolling stock. Indeed the route came close by the village to the West causing 2 demolitions and the depot caused 6 demolitions. The Village like some fable of old had become encircled by powerful dragons coiled around the inhabitants. An action group was formed which sought to move the depot and the route out of the greenbelt community of 6,000 to a brownfield site with less community impacts. We first met HS2 engagement officer Rachael Blake who was also an elected Labour councillor for Doncaster when she came to our Parish Centre in 2014. She admitted that if HS2 was coming to her village, she would be against it, but Crofton was the only place that it could be built. A year later, despite a consultation nothing had changed. Then it now emerges, HS2 Limited quietly dropped the plan for the Depot to be approached from the West and the route to go through the West of the Village. But they told no one. They decided to "refine" the route and replace the Western Depot with a larger Eastern Depot and run the track through the heart of New Crofton along part of a rejected old route called "East of Rotherham", they linked this route through Ryhill, and South Hiendley. They told no-one but the impacts from noise and demolition was now multiplied. One Dragon, the Dragon of the North was now dead, but no-one knew, but the Dragon of the South (the depot) was bigger and a new deadlier Dragon of the East had risen from it's grave. During the Autumn and Winter of 2015, a campaign of lobbying by Sheffield Council costing £250,000 had won over HS2 Limited to discard Meadowhall station and the rest of the Meadowhall route. They visited Crofton in Secret in May 2016 with the Secretary of State to showcase their previous secret refined depot and eastern route which now adopted the full path of East of Rotherham, connecting down the M18 to the earlier route South of Sheffield. When in July 2016 Rachael returned to the village it was with this new route and her superiors who had no answers to our questions so our campaign burst forward with fact and fury, and a week after our mass protest in August the new secretary of State Chris Grayling visited Crofton in secret, viewed the depot site and ordered HS2 Limited to undertake a study to find an alternative location. We submitted an number of brownfield sites which we identified with help from residents and Wakefield Council, and in July 2017, one of these sites in Leeds was adopted. This Brownfield site was welcomed by the local MP and Leeds City Council. The Southern Dragon had been slain. The final dragon, the Eastern Dragon still remains, more harmful than the rest. We are preparing a judicial review, so the sword of justice can pierce it's evil heart. During 2017 we have a number of ministerial meetings to drive home the message : that all the route options only came through Crofton because of the Depot, that HS2 Limited had rejected East of Rotherham in 2011, that this route contrary to HS2 Limited false figures does have higher residential demolitions and construction costs than the discarded Meadowhall route, that decision to hold back the map below from the residents during the consultation, invalidated the consultation and the route decision because the route decision was made on the basis of a secret route comparison, which for Crofton was the Same route. But our final weapon is another Dragon : two Dragons in fact - High Speed UK's superior route to the West of Barnsley which connects to Manchester and forms the basis of a low impact true Cross Rail for the North, and Hyperloop One UK's low impact 760mph ultraspeed solution that makes HS2 like an old tech 20th Century folly. Both alternatives offer better connectivity, lower costs and importantly lower impacts for Yorkshire and the North. Already our call for a Strategic Review of Phase 2B has secured a commitment from a future Labour Government. To mark your visit to the High Speed Rail College in Doncaster today, I am writing to you this letter of protest at the way you have treated the communities along the proposed M18 Eastern Route and those along the secret refined Meadowhall route and original consulted Meadowhall route for your lack of honesty over the past year. As a Knight of the realm we would have thought you mind want to honour your promise of July 7th 2016 to treat the communities affected by HS2 with respect and openness. Our Communities have invited you personally to visit us over the last year to explain the importance and impacts of the scheme you advocated since July last year. You have refused, yet are happy to visit the Rail College tody just a few miles away. You must appreciate how worthless this makes the residents of Mexborough, Crofton, Bramley, and other HS2 communities feel. As a first action we demand you write to a letter of apology for HS2 Limited withholding the map and details of the refined Meadowhall route from our communities during the 3 month consultation process when this secret route was the basis the comparison that formed the decision to move the route to M18 as now revealed in your advice to government (p 58 14.2.1) This Contradicts you statements in the July 2016 Sheffield Station options report. Clear evidence has now been published by HS2 Ltd to show that both the decision to change the route and the consultation has been so grossly unfair as to be unlawful. A judicial review into Phase 1 was upheld when Justice Ouseley ruled that the consultees on the property consultation were provided with insufficient information as to be unlawful. The nub of our case is that at NO TIME in the July Report or November route decision did HS2 or the Secretary of State disclose that the route comparison decision on grounds of cost, sustainability was actually being made between the unpublished REFINED Meadowhall route & the M18 Eastern Route, not the CONSULTED ROUTE, despite the claims of the Higgins Report as has now been stated in the explanatory documents. The maps showing the route of the Refined Meadowhall (going through Crofton, Ryhill etc) were deliberately kept back and in so doing unfairly prevented consultees from the knowledge needed to challenge the route assumptions. Namely that even if we had been successful in our opposition to M18 Eastern Route, Crofton would have been facing a VIRTUALLY identical route in the Refined Meadowhall Route!, kept secret from the public. Added to the publication of the locations of the possible Parkway Stations at Hemsworth etc during the consultation, the whole consultation was unfairly biased against the consultees, including being time limited to 3 months compared to the original consultation. The failure of HS2 Limited to acknowledge any cluster of residential demolitions in Crofton, even though their maps show c.10 properties under earthworks, and the admissions that they failed to consider the possibility of a Sheffield Midland Spur onto the Consulted Meadowhall route (as disclosed by Alistair Hassan in November 16 ) , and their admission that their own estimate of demolitions at Shimmer (55 homes) at the time of the July report was a conservative one - (meaning that the total of 74 at the time might have easily exceeded the 80 or 84 for the Meadowhall route) completely negate the fairness of the process we have gone through and the claim of significantly fewer residential demolitions. At no stage has any HS2 official given an accurate figure as to the total number of residential demolitions expected in Crofton/New Crofton. At no stage did any HS2 official, or Government minister reveal that the Refined Route was on a similar alignment through Crofton in a year of communication and attempted communication. Lastly now that the Depot will hopefully be moving from Crofton, (our one victory, alongside the scrapping of the first route) there is no need for the route to go anywhere near us, and we await a response to the proposed M1 corridor route we suggested in the consultation, (as part of our 84 page report Rushed, Harmful & Misleading) which so far appears to have been lost. It now also appears that village residents on the original consulted route have been kept in limbo for unnecessarily long period from 2015-17 as HS2 Limited had abandoned plans to run the route to West of the village and were planning a Eastern RSD alignment from a early stage pre-M18 (could you please indicate when this route refinement plan was adopted) As the justification for the refined route and M18 was to partly reduce costs, we note that 29% of phase 1 is under tunnel compared to just 2% on Phase 2B - please indicate what would be the additional cost to the project of putting the cutting through New Crofton under cut and cover tunnel to mitigate noise and prevent the loss of Windmill Hill & partition of the village.During the Consultation which 94% of respondees opposed the M18 route, we submitted plans for route alternatives in our 84 page communities report “Rushed, Harmful and Misleading” to the West of Barnsley along the M1 corridor with lower impacts and a shorter route, which have been ignored by HS2 Limited. Detailed proposals from a alternative scheme named High Speed UK were acknowledged but again ignored. While proposals for route realignment from Sheffield City Region were examined which might have saved the Shimmer Estate at the modest cost of £48m, these too were discarded due to cost grounds. Under FOI we obtained from HS2 Limited a basic breakdown of cost comparison between Meadowhall route and M18, yet it was not disclosed that this was actually for the refined secret Meadowhall route which ran through Shafton, South Hiendley, Ryhill and New Crofton. In the response to the Consultation, our claim that M18 Eastern Route was nearly identical to the previous Line of Route East of Rotherham was denied by HS2 Limited, yet we have documented letters from HS2 officials confirming that M18 Route was known as East of Rotherham and was sifted out in 2011.We also note that our analysis of HS2's projected residential demolitions along the routes shows the Meadowhall (Consulted) route has a 13.5% rate of demolition for properties with the 60m zone compared to only 7.4% within the M18 route. This anomaly suggests a serious and deliberate underestimation of demolitions on the M18 Eastern Route to justify the decision. Given that the Shimmer Estate estimate was a conservative one (ie 55) we feel that a mid point estimate would have projected the demolitions along the M18 at 94 – 17.5% above the comparator route and making the statements in the July report which carried your name a lie. As a man of honour, we think you should now consider your position. It is no surprise to local residents that HS2 Limited have no answers to the thousands of questions we have asked since July 2016. Often there has been no response. We challenged the central justification of the M18 Eastern Route, namely that there was a smaller population affected and fewer residential demolitions, than the previous Meadowhall Route. When HS2 Limited was unable to give any figures on residential demolitions in Crofton and elsewhere, residents spend many months going through maps and checking on the ground how many houses were close to line and whether they may be demolished. We were shocked to discover that NOBODY at HS2 Limited had done a similar exercise. Not one physical map looked at. Instead they had relied on a GIS Postcode software package which estimated the number of households/residencies within an approximated area near to the track. We asked for methodology and discovered that DIFFERENT CRITERIA had been used to calculate the comparative estimates of populations between the two route choices in such a way as to minimise the numbers of people and demolitions on the New Route and maximise those on the Meadowhall route. Comparing APPLES and ORANGES to prove a case. Such would be called FRAUD OR DECEPTION OR FALSE CLAIM in an advert or Commercial Report. The people of Yorkshire deserve the truth, before any more money is wasted and the communities deserve to be listened to. HS2 Limited officials confirm that "they missed" the possibility of adapting the 2013 Consulted Meadowhall route to work with the Sheffield Midland Station option using the Sheffield Midland line. In the HS2 Communities Report presented to HS2 Ltd on November 17th 2016 and Department for Transport, a route option named the "Meadowhall Hybrid" was identified which might save £534m and HS2 Director Of Route Engineering Alisdair Hassan confirmed it was potentially viable, no study had been undertaken by HS2 Ltd into it, and that it had been overlooked. TO REGISTER YOUR OBJECTION TO THE NEWLY PROPOSED HS2 M18 EASTERN ROUTE PLEASE COMPLETE OUR EASY ONLINE CONSULTATION FORM. IT WILL GENERATE AN EMAIL CONSULTATION RESPONSE WHICH WILL BE SENT TO THE HS2 CONSULTATION EMAIL ADDRESS RECORDING YOUR OPPOSITION TO THE ROUTE. Fact : The New Recommended M18/Eastern HS2 route is not new but is identical to the route rejected by HS2 Limited in 2012 as part of it's sifting process. The East of Rotherham Group of routes was rejected because high noise and environmental impacts. Fact: HS2 Limited quickly abandoned Sheffield Meadowhall HS2 station in July 2016, admitting the proposed 2013 route was the wrong choice but then dusted off old plans working on old maps & basic assessments done in 2011, five years old since when a 212 home housing development at the Strata Home Shimmer Estate in Mexborough and the 220 home Redrow Priory Fields & Harron Home Royal Wells Park at Crofton have been newly built. The First of these will be demolished by the new route & the other two close proximity to track & Depot. Fact : The Statement made by HS2 Chairman Sir David Higgins that the new route would involve less risk from the legacy of mining,result in less overall expected noise impact is a false statement (p.22)No noise assessments have been carried out on the new route, but with 80,000 people living within 1km of the route : the numbers of people affected by intolerable levels of noise will exceed the estimate of 6,200 on the first route by a factor of 4. The past mining activities in Mexborough and Crofton would make the siting of a High Speed Train route unwise & expensive.